How to find a Best Memory Foam Mattress 2017 ? Your budget is possibly the most important factor to consider when you are looking at buying a new king size memory foam mattress or indeed any other kind of mattress. Most of the mattresses on sale for less than 100 pounds are not really worth your time unless you are happy to have a cheap and uncomfortable mattress. This is because most really cheap mattresses are open-sprung, which means all of the springs are joined together forming what is called a cage sprung core. These are the types of mattress which if they receive too much impact the chances are your bed is going to slope. Because each of the springs is attached, if one gives in it drags all of the others down with it causing a slope or dent in the mattress itself. If you can’t afford to fork out for a semi decent mattress, the best advice is to wait until you can. A sensible budget for a king size memory foam mattress is around 200 pounds which sounds quite a lot, but when you consider a decent mattress will probably last 10 years or more that equates to just 50 pounds a year. Not a huge price tag for something you will almost certainly keep for longer than your next car. 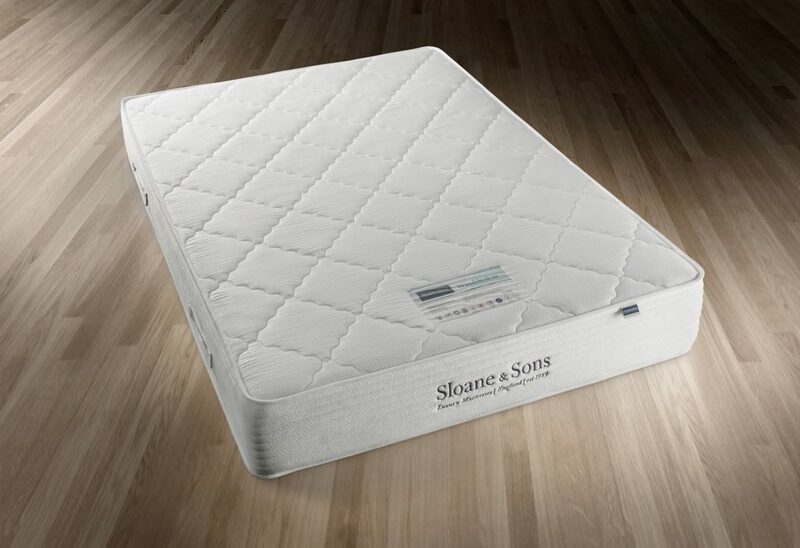 A pocket sprung mattress or a memory foam mattress is definitely a better choice. These two characteristics of a mattress are not mutually exclusive, that is to say they getting the right level of support from a mattress will generally allow the perfect level of comfort, but you should be aware that comfort is easy to test whereas support is not. Most people think they need a soft bed in order to get the maximum comfort while they are sleeping, but a soft bed can be an awful mistake. Experts suggest that if you are not giving your body the support it needs during the night, you are going to wake up with aching joints and muscles which could eventually lead to problems with your skeleton in later life. The reason for this is due to the fact that in a soft bed without support, your skeleton is awkwardly positioned. Your muscles then automatically overcompensate in an attempt to bring your skeleton back into alignment. When you wake up you will feel stiff and sore, and after a couple of days you might be wishing you’d stuck with your old mattress. Remember to ask questions when you’re looking around a showroom. Don’t be afraid to lie down on the show beds to test the mattress, a few seconds is not enough time to tell if a mattress is comfortable so don’t be shy. Also make sure you check a retailer’s returns policy, comfort and support test drive periods. At the end of the day most people wouldn’t buy a brand new car without a test drive, your mattress should be no different. Memory foam is one of the most popular choices among people buying a new mattress. The big question is, are memory foam mattresses better than pocket sprung mattresses? Well that depends on the person buying it. The important thing to remember about choosing a memory foam mattress is to make sure that you have the right weight foam. Usually anything over 5lb is a good weight for your average person, so going for a mattress with only a 3lb weight is going to be a disappointment. Memory foam is made from polyurethane and mixed with different chemicals to achieve a different density, so every memory foam mattress has its own unique characteristics. For instance a higher density memory foam mattress is going to be much firmer to the touch and will only shift shape when it comes into contact with body heat. A lower density memory foam mattress will be soft to the touch and might end up leaving you feeling like Uncle Fester as you sink into the mattress. Memory foam mattresses were originally designed for helping those with limited mobility keep themselves in good health, as memory foam helped to relieve pressure from certain areas which were most effected by bed sores and later, to relieve painful joints and arthritis. Firmer, more supportive memory foam was designed later for use in mattresses for the general consumer. If you are going for memory foam, a firmer and more supportive mattress is definitely the one to consider. Most people will look to replace their mattress long before they begin looking for a new bed frame, mostly because many people will buy an expensive frame with a mattress as a deal from their local retailer, but find after a couple of years the mattress was free for a reason. The important thing to note here is that not all bedframes are suited for UK size mattresses. Double check the size of your bedframe, is it in UK sizes? If not then you are probably going to have trouble finding a memory foam mattress to fit. Asia and the USA have completely different size dimensions than we do, much like shoes and clothes. The last thing you want is to fork out a few hundred pounds on a king size memory foam mattress, only to discover when you get home that your bed is a super king. If you have some custom dimensions then look no further than our custom memory foam mattress section of our website where we can supply any shape any size memory foam for those odd spaces. If you are living with a partner then choosing a bed to support both of you is going to be tricky. In terms of size, experts advise you should both be able to lie flat on your back with your arms behind your head and not be touching. You should also have 10cm longer than the tallest person at the foot of the bed. This means that if you or your partner are 6ft, then you should go for a king size memory foam mattress rather than a queen-size or a double. Obviously if you already have the bed frame and are just looking to replace your mattress then this might not be feasible, but it is still something to bear in mind. In terms of softness you are going to have to work that one out for yourselves, some people might opt to buy two single XL mattresses and join them with a memory foam mattress topper, or just come to a compromise. Either way choosing the right bed and memory foam mattress is no easy task for two. Another tricky decision is what kind of mattress to buy a child for their bedframe. The main issue being cost vs. the mattresses lifespan. There is no point forking out a few hundred pounds for a decent pocket sprung or memory foam mattress if they are just going to grow out of it in a year or so. Also children love to bounce, is it worth getting better quality springs for your son or daughter to destroy? 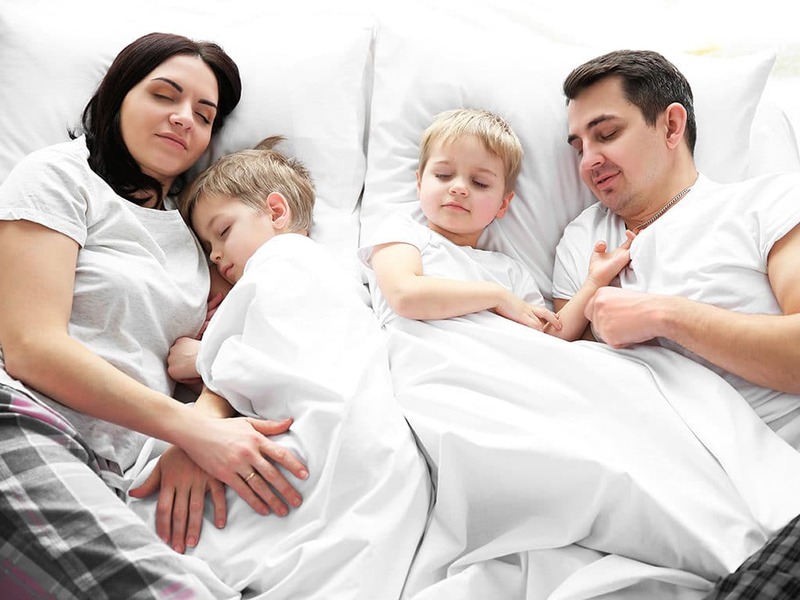 At the end of the day, until they stop growing, you are just as well to get a cheap mattress and then add some form of memory foam mattress topper or simply add additional comfort through an extra duvet underneath the bed sheet. There are times when buying a temporary mattress are unavoidable. Maybe you have a mattress that has worn through to the springs, or maybe your kids have bounced one of the springs to death, but either way it is a bit of a pain. If you have a king size bed then you might find this experience to be all the more frustrating. Do you buy a cheap mattress and make the best of it for the short term, or buy an alright mattress with a view to upgrade to a king size memory foam mattress topper at a later date? The best advice here is to just go and buy an airbed. For about a third of the price you would pay for a cheap mattress you can get a standard airbed which although not hugely comfortable, will probably offer more support. You can either add this to your bedframe for the time being, or simply sleep on the floor with it. There is no benefit to buying an inexpensive mattress and adding a memory foam mattress topper as the memory foam is designed to enhance and compliment the springs beneath. If the springs are rubbish, the memory foam mattress topper is ineffective too. Your best bet is to grin and bear with an airbed until you can afford to buy a decent king size memory foam mattress. In any situation whether buying a king size memory foam mattress or buying new shoes, there is always a choice to improve your current mattress or resole your shoe rather than replace the item. Generally you will find these to be much cheaper than the latter choice. In a situation where you have had a mattress for a couple of years, you have had no problems with the support, but you find the mattress a little too firm then a memory foam mattress topper is one solution. Although a memory foam mattress topper is not going to offer you the same benefits that a specifically designed memory foam mattress would, it is a sure way of increasing the comfort of your current mattress. There is no use going to a showroom, testing one mattress and then buying it. If you are looking at buying a king size memory foam mattress then make sure you don’t make any hasty decisions. The best way of doing this is to try out as many different mattresses as you can while you are in a showroom…even if you are planning to buy online. 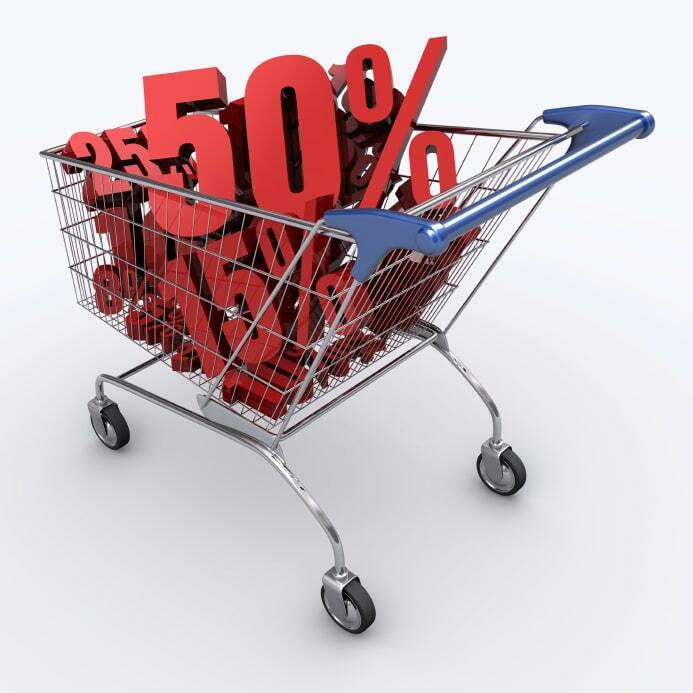 The important thing to remember is that online shops are able to offer much cheaper prices than a showroom can, mainly because they don’t need the same staffing levels, have no shop front to maintain and have lower running costs. Write down the model and brand of the king size memory foam mattress you liked in the showroom and check the prices online. Check for alternative brands offering similar densities of memory foam to see if they can offer a cheaper product. Always shop around. Sleep on memory foam can offer you a king size memory foam mattress in a range of sizes. One of the most important things you can look for when picking a mattress is the warranties available. If you are going to be spending a few hundred pounds on a decent quality mattress, you want to make sure that it is going to last long enough to justify the price. Some mattress producers will offer up to a twenty year warranty, so if you want a king size memory foam mattress that is worth the cost, just make sure there’s a decent warranty on it.